Almshouses have been established from the 10th century to the present day. They have enabled people (typically elderly folk who can no longer work to earn enough to pay rent) to live in a particular community free of charge, or at minimal costs. They are often targeted at the poor of a locality, at those from certain forms of previous employment, or their widows, and are generally maintained by a church, charity or the trustees of a bequest. Most were established before the age of local authority housing, and operate on a fairly small scale. Increasingly, the trusts that were established to administer them have passed their running over to larger social landlords, such as housing associations. Forest Gate is unusual in that it at one time it hosted three, very separate, but small Almshouse developments, offering between them accommodation for no more than a couple of dozen people. 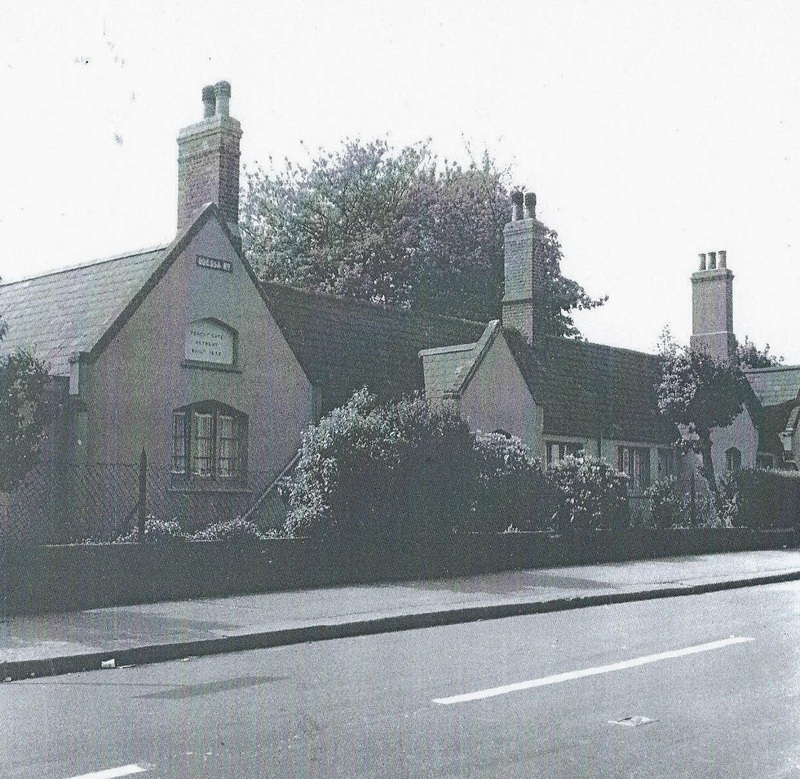 Of the three, one - the Pawnbrokers almshouses, of which we have already written (here) - was established by a trade association, and no longer exists. The two other sets were established by religious philanthropists, who created trusts and charities to manage them. These bodies have subsequently passed the functions on to local housing associations. Jabez Legg lived in Stratford and was an undertaker and Congregational minister in the early 19th century. 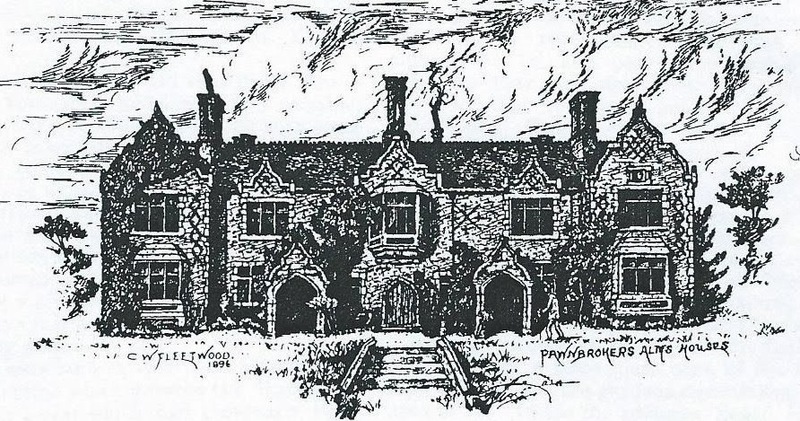 In the 1820's Wanstead House was in its prime and received a steady flow of visitors, many of whom travelled along what is now Woodgrange Road for their visits. Among the attractions, en route, were the tea gardens in the Eagle and Child Public House, on Woodford Road. Legg decided to build a small Chapel near to this garden, at a cost of £220, offering weekly services and day school facilities, for visitors to Wanstead, and the growing local population. He chose a site at the junction of Forest Lane and Woodgrange Road. The building was completed in 1830. Within a quarter of a century, the rapid growth of Forest Gate, brought about by the development of the railways, meant that the small Chapel was no longer large enough to cater for local demand. 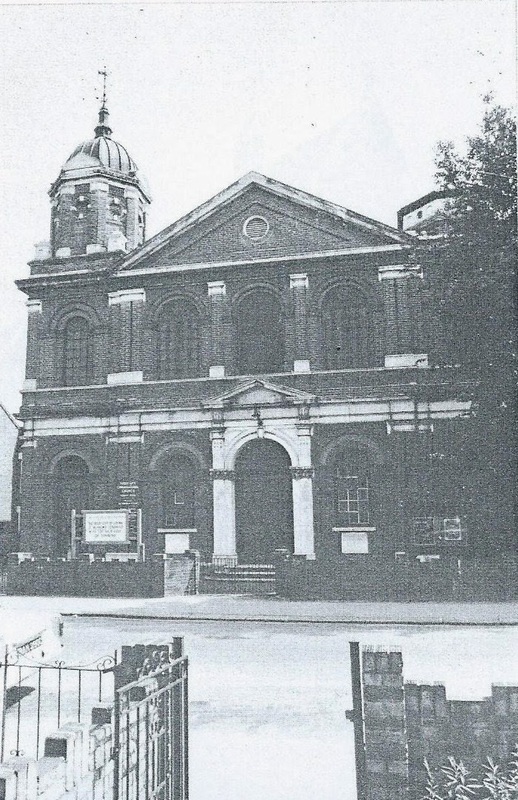 With the help of local Quakers, including Samuel Gurney, he was able to construct a much grander Congregational Church, in Forest Lane - at a cost of a little over £1,500. This opened in 1856. 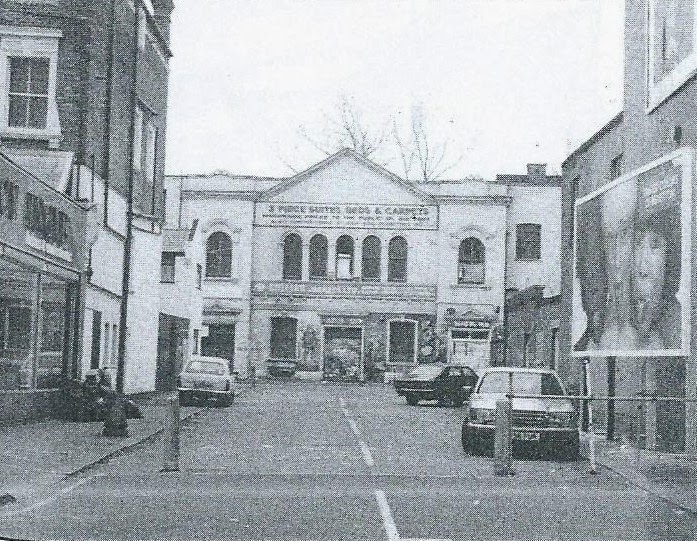 This, itself, was superseded by the large Congregational Church (now the Ark Church, and Renewal Programme headquarters) on Sebert Road a further quarter of a century later. ﻿Legg built the first three of six cottages, known as Forest Gate Retreat, near to the second chapel - as homes for his retired family female servants - two years later. Three more cottages were added in 1863. They are still situated on Forest Lane at the junction of Odessa Road, facing the railway line. After Legg's death, aged 81, in 1867, his family administered the alms houses. They broadened its base or target population and offered accommodation to needy, usually local, women. Feeling the need for some support and taking advantage of the economies of scale, the Legg Charitable Trust merged in 1939 with a similar organisation, in Wimbledon, to become the Legg-Whittuck trust. This subsequently joined Pathways - a not-for-profit organisation dealing mainly with sheltered housing projects, in 2012. The six, one-bed roomed, houses are available for single female tenants, who meet Pathway's selection criteria, and can come from anywhere in the country. Most of the residents, however, have a local connection. These 12 self-contained, sheltered, one-bed roomed flats on Upton Lane were built in 1893, to replace an earlier development on Whitechapel Road. The original ones were constructed in 1658, by City benefactor and draper, William Meggs, to provide accommodation for the elderly, industrious poor. He had already assisted with the development of churches in Stepney. The Whitechapel Road development was demolished in 1883 to make way for railway construction and the Rector and Churchwarden of Whitechapel, who were trustees of the charity that Meggs had established, chose a spot on Upton Lane for their replacement, a decade later. The almshouses are currently listed and now managed by East Living, which is part of the East Thames Housing Group. The development includes a communal lounge and garden and laundry. Would-be tenants must be either Newham or Tower Hamlets residents. 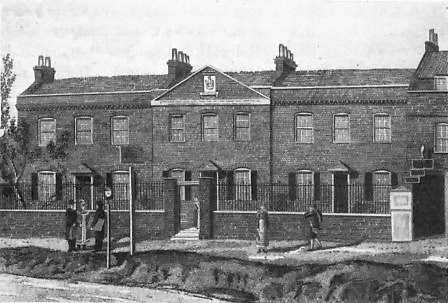 The Pawnbrokers' alms-houses, Woodgrange Road were built in 1849 - about the time the railway arrived in Forest Gate -by the Pawnbrokers Charitable institution. They accommodated 8 residents, not necessarily from West Ham, who had qualified because they had a connection with the pawn broking trade. The buildings formed an impressive group in 'Elizabethan' style. We provided a detailed account of these fine house here, in July this year. That account included some contemporaneous reporting of the lives and times of the residents. The houses were knocked down in 1897 to make way for further commercial development along Woodgrange Road. This included the local public hall, which in turn developed into range of cinemas (see here), a skating rink, the Uppercut club etc and is now a ventilation shaft for the channel tunnel rail link, as well as the Woodgrange Road shops themselves, which of course, survive. 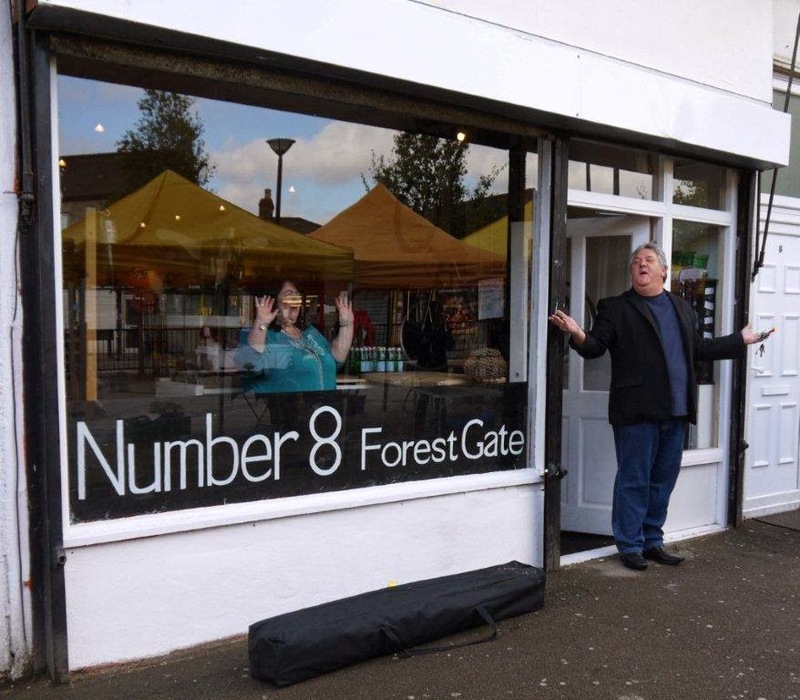 Forest Gate - the new Hollywood? ... or so went the question in a recent Guardian feature on E7 - see last week's blog for details. And perhaps it had a point. The district can "claim" a clutch of current ground breaking film headline grabbers, who follow in a fine local tradition, as we show, below. 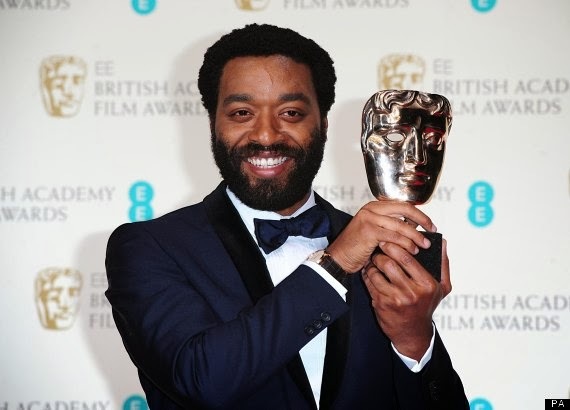 Well, as if to live up to the "New Hollywood" billing, the Bafta award for Leading Actor last night went to .... Chiwetel Ejiofor for his role in the "Best film" Twelve Years a Slave. Chiwetel was born on 10 July 1977 in Forest Gate. His parents left Nigeria after the civil war, in the early 1970's, and moved to England. His father Arinze was a doctor, his mother worked in a chemist's shop, locally. During the 1980's the family moved to Brixton. In 1988, when Ejiofor was 11, tragedy struck the family during a trip to Nigeria for a wedding,. After the celebrations, Arinze and Chiwe, as he is familiarly known, were driving to Lagos when their car was involved in a head-on crash with a lorry. Arinze was killed, but Chiwe, badly injured and unconscious, survived. He was educated at the prestigious fee-paying Dulwich College, in South London, where some of the local good taste affected him and he became a life-long Crystal Palace FC supporter. After leaving school, he went to the London Academy of Music and Dramatic Art, and within three months he was offered the lead in Steven Spielberg's Amistad - and hasn't looked back since. Last night is surely just one more step in an illustrious career. With good fortune in place of birth and good taste in football team, could it be anything else? Mandela - Long Walk to Freedom was shortlisted in the Best British Movie category of the Baftas last night and leading actor Idris Elba can claim a Forest Gate connection too. 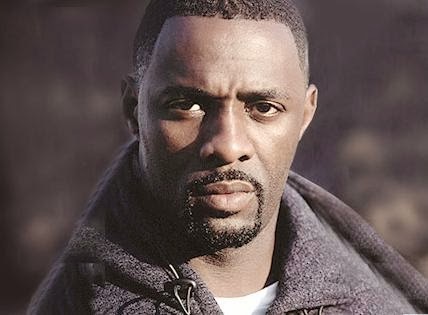 Idris was born in Hackney in 1972 to mixed Sierra Leone and Ghanaian parents, but spent most of his childhood and school days in Canning Town. He began to make his mark, seriously, in film when he got a leading role in the major US drama, The Wire, in 2002. He has moved on through significant roles until he was cast to play Mandela in the recent biopic. The movie was premiered in London in November on the day Mandela died. Idris was in town for the premier and stopped off at his uncle's garage in Dames Road, E7 before heading to the West End for the premier. in Dames Road, last November. We are deeply indebted to the Newham Recorder for having had the presence of mind to record the visit and fully acknowledge their ownership of the photograph, above, that celebrated the occasion of yet another local boy making good. 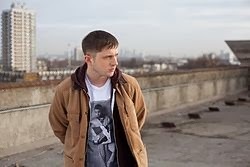 We have featured Forest Gate boy, Ben Drew - more widely known as Plan B, before on this site (see here). He is perhaps most recognised as a hip-hop/rapper/song writer with a string of hits, prominent among them the exceptional album The Defamation of Strickland Banks and its smash single Stay Too Long. Ben has, additionally, carved out a career in film; having appeared in Harry Brown in 2010 and as DC Carter in The Sweeney in 2012. More recently he made his film directing debut, also in 2012, in Ill Manors, a grimy, violent film of sub plots. The themes are based around drugs and marginalised youth, all set - in, yes ... Forest Gate - that fast emerging local Hollywood. Much of the action of the movie took place in the now closed Earl of Essex pub, on Romford Road. 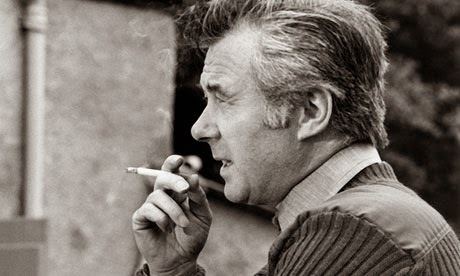 One of Forest Gate's most famous sons, Bryan Forbes, the dynamic actor, novelist screen-writer, producer and director of films such as Whistle Down The Wind, The L-Shaped Room and The Stepford Wives died last year, aged 86 (obituary here). From his birth (as John Theobald Clarke) in 1926, to his evacuation as a 13-year-old in 1939, he was brought up in a terraced house in Cranmer Road - one of several obliterated in the early days of the Blitz. His grandparents lived in Odessa Road, and he was a pupil at Godwin Road Junior School where he won a scholarship to the former West Ham Secondary School - now Stratford School in Upton Lane. Writing for the now defunct Forest Gate Times in 2001 he recalled a happy and carefree childhood in E7 ("to me they will always be halcyon days"): playing on Wanstead Flats, being captivated by the local movie theatre - the Splendide Cinema in Forest Lane - on a site now occupied by the Community School (see here for details of the cinema) and spending his pocket money on bits of Meccano at Pattison's Toy Bazaar and Doll's Hospital opposite the station. Anna was born Florence Marjorie Robertson on 20 October 1904 in Glenparke Road, Forest Gate. Her family later moved to Upton Lane. She attended Park Primary school and became one of the biggest and brightest film stars of her day. Neagle proved to be a box-office money spinner in British films for over 25 years. She was noted for providing glamour and sophistication to war-torn London audiences with her lightweight musicals, comedies and historical dramas. She won several awards as Britain's favourite actress and biggest female box-office draw. 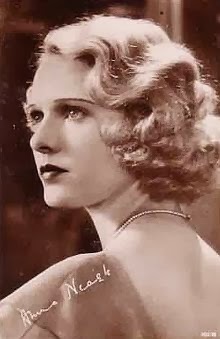 Almost all of her films were produced and directed by Herbert Wilcox whom she married in 1943. In her historical dramas, she was renowned for her portrayals of real-life British heroines, including Nell Gwynn (Nell Gwynn, 1934), Queen Victoria (Victoria the Great, 1937, and Sixty Glorious Years, 1938). Neagle and Wilcox then began an association with Hollywood. Their first American film was Nurse Edith Cavell (1939),another performance of a true-life British heroine, which had a significant impact for audiences on the eve of war. She followed these with three musical comedies, all based on once-popular stage plays: Irene (1940), followed by No, No, Nanette (1940) in which she sang Tea for Two and finally Sunny (1941). Neagle and Wilcox's last American film was Forever and a Day (1943), a tale of a London family house from 1804 to the 1940 blitz. Returning to Britain, Anna Neagle added another real-life British heroines to her gallery, as aviator Amy Johnson in They Flew Alone. She starred in a number of further biopics, playing roles of Odette, Florence Nightingale and Queen Victoria and Nell Gwynne (each for a second time). She starred in a number of quintessentially English films, featuring titles such as Mayfair, The Piccadilly Incident (best film of 1947) and Spring in Park Lane (best film 1949). Neagle spent much of the early 1950s on the stage, but by the time she returned to films in the middle of the decade found that her fame and ability to attract good roles had faded. She was a distant cousin of the Queen, via her descent from the illegitimate daughter of Queen Victoria's uncle, and lived in Brighton for many years with Herbert Wilcox. She was made a Dame of the British Empire in 1969 and died in Surrey in 1986 after a long illness. She is buried in the same grave as her husband and parents in the City of London cemetery. Poor Sir Alfred - the nearly man! He was born just to the west of Forest Gate, at 517 Leytonstone High Road - on the site of what is now a Jet service station - opposite the Homebase store. There is a Waltham Forest blue plaque on the wall of the petrol station, commemorating the fact, and of course there is the Sir Alfred Hitchcock pub, about half a mile away on Whipps Cross Road (see photos). 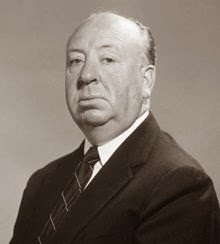 Hitchcock clearly benefited from the Forest Gate air wafting over, as he emerged to be probably Britain's best ever film director, and one of the world's most distinguished cinematic movie makers of all time. E7 movie makers, one and all - we salute you. Hollywood's Walk of Fame - Woodgrange Road next? How long before there is a Walk of Fame on Woodgrange Road?? Few can doubt that the last year or so has witnessed an acceleration in the transformation of the fortunes - in all senses of the word - of Forest Gate, mainly focused around the Woodgrange Road Market Place. A new social centre has emerged at the recently opened Forest Tavern, offering good drink, food, music, comedy and conviviality. The Women's Institute, community gardening in Earlham Grove and Lindy Hopping at BBs on Hampton Road have all emerged, to offer very different recreation options to the traditional local mix. Property prices have reflected this social regeneration, and our once unfashionable post code is now being "discovered" by the broad sheet property pages, aimed at the young upwardly mobile, displaced elsewhere in London by house price inflation. ... here in the 'real' East End. Forest Gate, it turns out, is quite Hollywood. ... Ooh, and have I mentioned ... the schools? Or the property prices? ... The Woodgrange Estate conservation area is the first stop ... its stately streets of double-fronted late Victorian houses around the station are rather a plum find! The near certainty of Crossrail in four years adds greatly to the appeal and pull of Forest Gate, just as the original railways did, a century and a half ago. The property boom and house price inflation that all of this is fuelling is, of course, a mixed blessing. Wilkinson's, undoubtedly the most community-minded, Forest Gate-focused of all local agents, just last week put a four bedroom house in Osborne Road on the market at £700,000. Glee for existing house owners, who have seen their homes turn into "assets". But bad news for their children who, in a depressing feature that has destroyed communities across the country - from rural idylls to working class inner city areas -cannot afford to live as adults in the areas in which they were brought up as children. This community dislocation has been, and increasingly will become, a feature that wrecks traditional social networks and diminishes local loyalties. Unfortunately, little can be done to prevent it in a largely market driven housing economy. There is, however, another sense in which community destruction is at work within Forest Gate and the resources and ability to fix it are much more readily at hand. Forest Gate will be diminished and our history defiled, unless action is taken to halt the damage to, and wanton destruction of them, in the near future. This 500 year old, former Tudor hunting lodge, was a working pub until 2004. It became a nationally listed building of historic interest in 1950. But it has been allowed to rot and has regularly been subject to vandalism for a decade. For details of the pub's history, see here. There is a local campaign (see here) aimed at rescuing Newham's oldest surviving secular building. Please support it. This local landmark was a working gym, known as Muscle Mansion, until 2008 and the death of its founder, Wag Bennett. It was a training centre for a number of international body-building champions over its near 50 year working history, most famously Arnold Schwarzenegger in the mid 1960's. Arnie lived with the Bennetts for a couple of years, during which time he was crowned Mr Universe, an achievement that set him on the course to Hollywood fame and fortune. The gym caught fire last April, having been squatted for some time. The building has been allowed to rot and currently has no roof. It is still squatted. Doubtless it will soon be declared too derelict to restore - and another local landmark will bite the dust. See here for our article on this landmark. There are, of course, other local scruffy, unattractive, local buildings in states of disrepair - not the least of which is the dreadful garage opposite the former Odeon Cinema, and the former Freemason's Arms/ Simpson's, currently bedecked in scaffolding a little further down Romford Road. There is little that local people or politicians can do about the social re-engineering Forest Gate is experiencing as a result of the house price boom featured in the first part of this article. There is plenty that can be done, however, about intervening in the cultural destruction of our heritage. Not much point in living in a million dollar mansion, if it is in the midst of a heritage-free culturally slummy desert, is there? Part of the "charm" of Forest Gate will go, and possibly even some of its "place-to-be" appeal. Is it too much to hope that politicians, seeking our votes in three months time, may respond to this local cultural vandalism and neglect? Continuing our monthly updates of life at the Upper Cut - 47 years on! January 1967 was the first full month of gigs at Woodgrange Road's Upper Cut club, following its opening the previous December (see here, for details). And a pretty impressive month it was too, beginning with local favourites, The Small Faces. This mod band was founded in 1965, with Manor Park boys Steve Marriott and Ronnie Lane. They were joined by Stratford musicians Kenney Jones (drums) and Jimmy Winston, who was replaced the following year by Ian McLagan (the only surviving member of the band, now living in Austin, Texas) as the group's keyboardist - because of his lack of talent and abrasive personality. Although the band were only together for four years, it was one of the most innovative and influential of the 60's. Marriott and Lane met in 1965 while Marriott was working in the J60 Music Bar in Manor Park. (Does anyone have any recollections of this bar?). They practised in the Ruskin Arms on High Street North, which was owned by Winston's parents. They chose the name Small Faces, because most of them were er ... small, and a "Face" was a "Mr Cool". The band signed for Decca in 1965 and their early hits, all of which had been released by the time of their Upper Cut gig, included Whatcha Gonna Do About It? (number 14 in the charts), Sha-La-La-La-La-Lee (number 3 in the charts) and All or Nothing (number 1). The band's eponymous first album was a big hit and the group featured regularly on TV music shows, Top of The Pops and Ready, Steady, Go! Despite their considerable success, they made little money and had an acrimonious breakup with their notorious manager, Don Arden, in 1966, amid much mutual recriminations. They then teamed up with ex-Rolling Stones manager Andrew Loog Oldham. It was soon after this that they made their Upper Cut debut. The band went on to have other massive hits, including Itchycoo Park, Tin Soldier and Lazy Sunday and the seminal album Ogden Nut Gone Flake. The band went their various other ways in 1969. Predictions that Forest Gate's mod beat centre The Upper Cut would flop because of high admission charges fell flat on Friday when nearly 2,000 youngsters paid between 10s and 12s to see the Small Faces. ... Girls screamed and burst into tears as The Small Faces came on to the stage, and during their half hour act the stage was guarded by eight "bouncers". Over a dozen girls fainted. We just kept playing" said guitarist "Plonk" Lane after the show. "All we can see is girls and pretty underwear carried across in front of us". This was the group's first home-town appearance for six months. They spent the afternoon rehearsing at the Woodgrange Road club and then went for a meal at Plonk's brother's cafe in Stratford. "This was one of our best nights" said club DJ Paul Hobbs afterwards. "It's probably because the Faces are a local group and have hundreds of fans around here." The Faces gave the Upper Cut a great start to 1967, and the bands who followed them in January added greatly to the venue's rapidly growing reputation as East London's premier pop/rock venue, as the list below indicates. 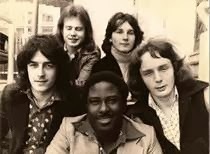 This Manchester-based band was established by leader Wayne Fontana in 1963, and by the time of their 1967 Upper Cut gig had had hits with Game of Love and A Groovy Kind of Love, although Fontana had left them in 1965. The band itself broke up in 1968, with members Eric Stewart and Graham Gouldman going on to help establish the influential 10cc. Another North-West band with a short career (1962 - 1966), best known for their only to ten hit Juliet. Terry Lightfoot was a stalwart of the British Trad jazz generation, who had a number of minor hits in the 1960's. He and a variety of "Jazzmen" continued to perform well into the 21st century, until Terry's death, just eleven months ago. This Kent-based combo backed many visiting US artistes in the early 60's, before moving on the support Cilla Black and to open the bill for the Beatles on some of their world tours. They had a walk on part in the Sgt Pepper album, before disintegrating in the late 1960's. The Fourmost was part of the Merseybeat boom on the 1960's, whose greatest claim to fame was that they played the Cavern Club three weeks before the Beatles. They had half a dozen minor hits in the 1960's, most famously A Little Lovin'. A version of the band still plays cabaret on the nostalgia circuit. Jamaica born Michael "Jimmy" James has been the lead singer of the Vagabonds soul band since the early 1960s. In its heyday the band supported Rod Stewart and Jimi Hendrix (who was to appear at the Upper Cut the next night - see below). The original Vagabonds disbanded in 1970, but James has put together a succession of other groups with the same name and still performs on the nostalgia circuit. Former Vagabond, Russ Courtenay, has a track on Tina Turner's latest, 2014 album. January's gigs ended with a Jimi Hendrix ("The Jimi Hendrix Experience ("American top soul singer and guitarist extraordinary", as the promoters advertised it) revisit . 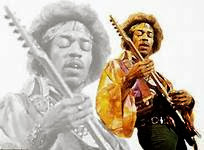 This time the organisers managed to spell his name correctly, Jimi got a night time slot, instead of the matinee appearance in December, and the entry fee had increased from 5/- to 8/6d!